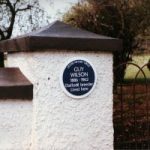 Wilson was born in Broughshane and started his working life in the woollen mill there. However daffodils were his consuming interest and in 1912 his first crop of seedlings flowered. 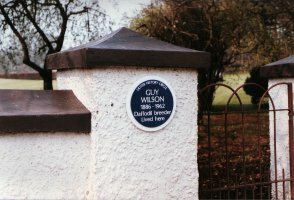 The following year he had great success with “White Dame”, and was subsequently known as a grower of white daffodils. He registered seventy-eight cultivars of these, but also produced coloured ones, such as the pink “Irish Rose.” His last crop of seedlings flowered in 1967, five years after his death. 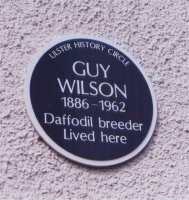 Guy Wilson became known all over the world for his work in improving the quality of garden daffodils; it was mainly for this that he received the Victoria Medal of Honour, the Royal Horticultural Society’s highest honour. 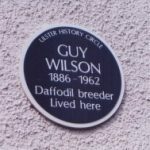 NOTE: There is a daffodil garden planted in his memory at the University of Ulster, Coleraine.